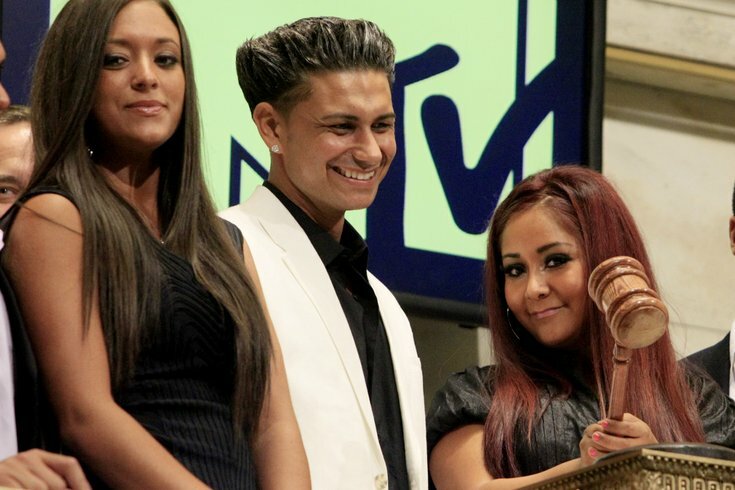 The world has been free from "Jersey Shore" for about five years, during which time the show's cast members have all followed different life trajectories. Mike "The Situation" Sorrentino has been the subject of a few tax fraud cases, Jenni "JWOWW" Farley is married with two children, and Nicole "Snookie" Polizzi's $32,000 speaking fee at Rutgers University inspired state legislation to cap speaker spending fees at $10,000 for public universities, to name a few. When life stops being a party, the only thing left for former reality TV stars to do is to reunite and reminisce. There have been whisperings for a long time — and a mini-reunion earlier this year — but the probability of a televised "Jersey Shore" reunion just went up, according to an exclusive report from In Touch Weekly. The magazine spoke with The Situation, Vinny Guadagnino, JWOWW and Sammi "Sweetheart" Giancola — and all of them said they expect it to happen. "Obviously," Sorrentino said, backing up the feeling with a barrage of recent tweets. Vinny said he's cool with the idea "as long as it's entertaining and funny," while Sammi wondered why it hasn't happened already. We'll spare you the million GIFs that answer this question. As for JWOWW, she said she hopes a reunion would bring the cast's significant others into the fold, so that the special can show how far everyone has come. "Time will tell," she said. Which raises an interesting question: Would it be entertaining or sort of depressing to see all of these cast members interact with one another as sensible adults? Maybe if they pass around a few bottles during the course of the reunion, revealing more of their lecherous recollections as they get progressively drunk, the haters will watch.